It was almost three months ago when I began my internship here at the Cantrell Center. In that time, I have learned so much from the staff here and have built relationships with so many of this facility’s members. I have spent the past four years at Valdosta State University getting my degree in exercise physiology. Valdosta State was great for preparing me to receive my certification from the American College of Sports Medicine and beginning this internship. From my first day here, I could see just how much the staff here cares about their members. There is such a focus on giving members and patients the amount of individual attention they need and making sure they are coming. It is easy to see that the Cantrell Center is much more than “just another gym”. During my internship, I split my time between working with the wellness trainers and the physical therapy staff. 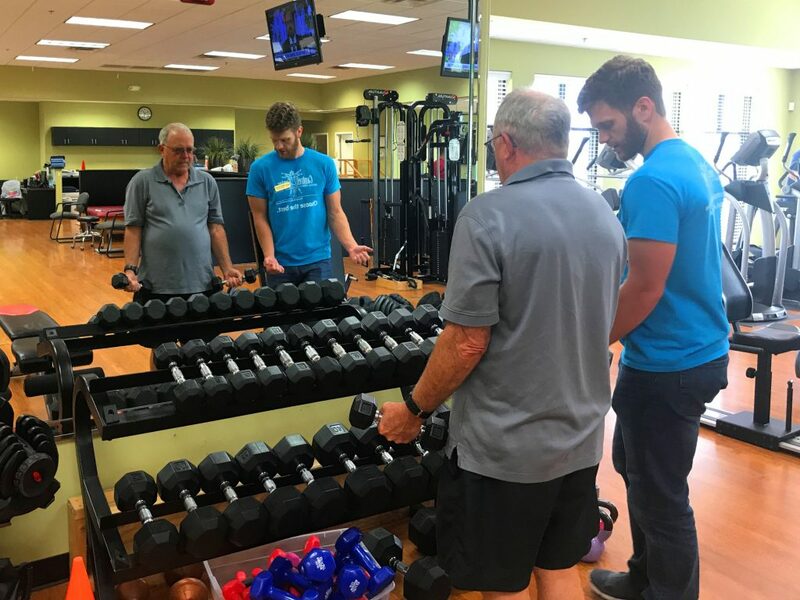 While working with wellness trainers, I was able to see the individualized attention they give each of the members and how they designed workouts to accommodate that person’s needs. The trainers really get to know their members and care that they show up and are progressing. Over this internship, I have seen members reduce their body fat percentage, lower their weight, improve their blood pressure, and even have their doctor’s take them off of their prescription medication due to the improvements that can come with exercise and a good diet. Jessie, Mark, and Ron were all great at taking time to answer any questions I had and showing me the ins-and-outs of the job. I also had the opportunity to work with the physical therapy staff in the pool. In aquatic therapy, I was able to see the progress of many different patients over the course of their treatment. It is amazing the difference that can be made just by correcting poor posture and poor walking mechanics. The Cantrell Center specializes in Postural Restoration (PRI). The methods that the physical therapists use here are unlike anything that I have seen at other physical therapy clinics. The success rate that I have observed from interacting with patients is incredibly high. It did not take long for me to decide that the Cantrell Center was the place where I wanted to be. I want to help people and encourage them to better themselves through a physically active lifestyle and a good diet. Now I have received a full-time position here as a Wellness Trainer and I am excited to be joining the Cantrell family. I look forward to continue learning from the staff and helping members reach their personal goals. Though Brad’s first experience with the Cantrell Center was as an intern, he became a part of Cantrell Center team on July 18th. Outside of work, Brad enjoys going to the gym, watching sports, and spending time with friends and family. Brad is engaged to be married in less than one month! During Brad’s freshman year at Valdosta State University in 2012, he met his now fiancé, Jennifer Graham, and they’ve been together ever since. Brad loves seeing members come in with goals in mind and watching as they make progress towards achieving those goals. He celebrates alongside them in their achievements whether the goal they’re meeting is seeing a decrease in body fat or coming off of prescription medications.